Ok, so I didn’t see an African lion today, but I did see a mountain lion, a couple different kinds of bears and some Bengal tigers. Where did all this take place? At Heaven’s Corner, a little animal rescue sanctuary not far from where we live. This isn’t our first time visiting, in fact, we have been somewhat regulars there. We have listened to the workers there explain how most of their wild animals are pets that people obtain illegally, and then when the wild animal gets too big or tries to kill their owner, the animals get dumped. We have also talked to the guy who feeds the mountain lions and saw his half-eaten Nike sneaker. Apparently he went into the lions den one night dressed differently and wearing cologne, so that the lion didn’t recognize him and almost mauled the guy to death. The people who work there are brave and caring, but most importantly, they are doing what they love – rescuing animals that otherwise might be put down for good. So here is my plea…I know illegal pets can be tempting. Perhaps like me, you have always dreamed of owning a leopard, wolf, penguin or baby bear for a pet…but if you really care about the animals, think it through. Are you really qualified and able to care for a truly wild animal? Wouldn’t these animals be better off and happier left in the wild, rather than caught and sold as novelties? It’s sad to see animals caged up that might have been free. 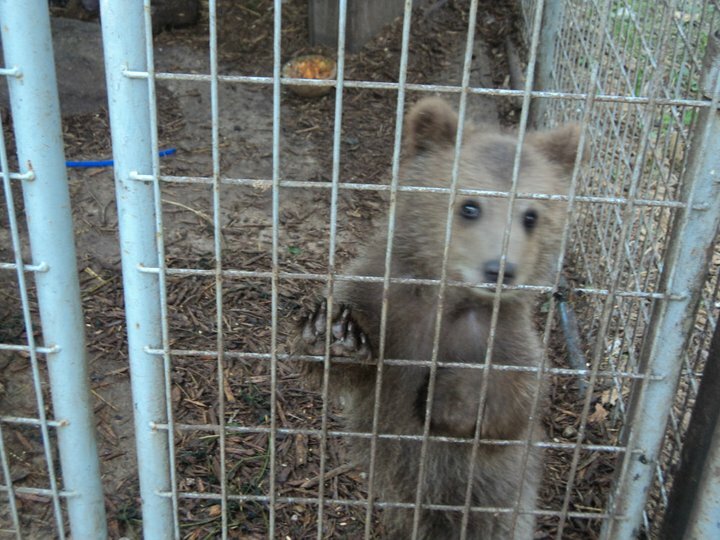 While you watch the bears or the tigers pace in their small jail cells, think about what that life must really be like. Although I am thankful to animal sanctuaries for taking in these animals, I wish that it wasn’t necessary to do so. By the way, while I’m thinking about it, make sure you support any local wildlife sanctuaries or conservation efforts near you. Whether you donate money, time or your natural talents, the earth and all of its creatures will be better off for your efforts.